“Give me two plates of the spiciest Gol Gappas you have!” Adam said to the Gol gappa street hawker as he took a seat on a bench put nearby for customers. It was one of the least warm afternoons he had witnessed in Lahore ever since he had arrived there two weeks ago. Coming to Pakistan and seeing the truth for himself was thrilling. His father however had refused to speak to him when he said he was going but his mother reassured Adam that he was angry because he was worried for his youngest son’s safety. Of course she was scared out of her wits as well and only agreed to let him go if he let her call him thrice a day and use any means necessary to assure his safety. He agreed because he simply had to go and see why the American media made such a commotion about Pakistan’s situation. He however did not know how far his mother would go to protect him. Seeing as that she was the daughter of a Congressman of the United States of America, she had considerable resources. Adam was not too religious, but before eating a spice filled delicacy made by a street hawker thousands of miles away from home, the 24 year old made sure to remember God with all his heart. The boy then proceeded to pick up the bench Adam was sitting on, pushing him and the plates of Golgappa off before doing so, and hiding it in the alley behind where they stood on Liberty Chowk and then coming back to take his cart to hide it too. In a matter of seconds it looked as if he was never there. Moments later two police vehicles drove by slowly. Stopping only to arrest street hawkers who had set up shop on the road space. For a minute Adam thought that maybe the street hawkers were selling drugged food items. He looked at the gol gappa in his hand with a new found sense of curiosity as well as caution. He considered throwing it away and never eating one again. But he ate it anyways. And as soon the spices attacked his taste buds he felt like his tongue had been bit by a cat but then the cool sensation of cream in the Golgappa dimmed the dance of the hot spices in his mouth and he felt like he would not mind having another one. “Not bad” He muttered to himself as he cleaned his hand against his backpack and fastened it to turn around and find one of those three wheeled things the people there called “rickshaw” to get to his hotel. He was definitely looking forward to going to Minar-e-Pakistan later that night. Adam googled the Urdu translation of “How much?” so that he could pay the rickshaw driver the fare. Just like he had been googling his way around a few important words and phrases the past two weeks so that he could get around without attracting too much attention to himself. The looks the people of Lahore always seemed to give him were attention enough. He felt like a zoo critter the way they kept examining him head to toe. “Jitney marzi de do sahib” replied the old man with a smile. The smile looked almost professional. “Khitnayy hue” Adam uttered again like a sick lamb. Not understanding a word that the old man said. “Sahib jo mrzi de do ap” the old timer replied again in words that seemed like gibberish to Adam. Adam started thinking about the high petrol prices in the region that he’d read about on an English newspaper a few days back. He calculated the time it took for the rickshaw to bring him to his hotel and assumed the average traffic speed to calculate the distance travelled. He had forgotten he was terrible at math so he just took out 2 one thousand rupees notes which were equal to 20 dollars round about. That was a normal amount for taxi fare back in Chicago so he went with the same in Lahore. The rickshaw driver’s eyes widened in surprise as Adam handed him the cash. He looked at them carefully and even sniffed them. All money smelled the same to Adam so it seemed a creepy sight to the American. He nodded to the old man and turned on his heel to head into the hotel. Despite trying his best Adam could not put a finger on what was happening nor what the boy was saying. He had to admit something was up. The boy went to the old man and Adam stopped moving towards the hotel to see what was going to happen. After exchanging a few words and a few uses of the word “Police” by the boy, the old man forked up some cash and gave it to the boy. The boy gave the old man a mock salute and skipped his way to Adam and handed him 1500 rupees in cash. “$5 dollars for taxi fare? Is this heaven or what? !” Adam exclaimed excitedly as he took the cash from the boy. He could get used to the cheap life here. He could not ignore the boy in front of him who deserved to be thanked for saving him from the con man. He ruffled the boy’s hair and gave him 500 rupees and took out an English to Urdu dictionary booklet from his bag that his mum had gotten him for the journey and gave it to the boy. The lad gave its cover a look and after a few seconds started flipping its pages as if looking for something. It appeared to Adam that his new friend had understood what the book was for. “Thankoo sir” the boy read out from the book with a small smile. Adam brought Jahangir to the hotel’s lobby and told him to wait for him. He decided to head up to his hotel room without dinner. He wanted to get some food packed by room service and take it to Minar-e-Pakistan and enjoy eating it in Iqbal Park with Jahangir after sightseeing. As they arrived at the country’s landmark an hour later Jahangir ran towards the Minar excitedly. Adam laughed softly and stood in his place watched a scene out of the movie “Jinnah” on his smartphone where a gigantic crowd gathered to witness the Lahore Resolution in 1940 which later came to be known as the Pakistan Resolution. As he stood there watching the scene he looked up and stared at the actual site. History was made here 74 years ago. He was surprised that his mother had not called him yet like she had been every night. This thought brought him to look at the signal’s bar of his phone and he noticed that there was no service. The signals were out. He could have sworn that he had full signals a few minutes ago. A group of teenage boys walking nearby all received calls at almost the same time, catching his attention. One of the boys using some English in his sentence made a bit of sense to Adam. The others did not. A loud ear splitting explosion interrupted the warning as Adam and him got pushed to the ground by the impact of the blast. A bomb had exploded some 200 meters away from Adam right next to the base of the Minar-e-Pakistan. Adam frightfully started looking for any signs of Jahangir. The boy could have been killed. He could have sworn he saw the Minar shaking. It could have fallen to the ground any second. Adam kept looking at the trembling landmark. Jahangir’s happy little face never left his thoughts. His ears were still ringing from the blast and his head had gotten so dizzy that he could not get off the ground. Sirens made their way to his ears a few minutes later. The ambulances were here. Adam managed to sit upright and felt his arm’s skin burn like it was on fire. The blast must have been strong enough for a part of its flames to have made it to him 200 meters away. He had not felt the pain until now because he had been in a state of shock. Now that he was regaining control of his senses everything around him became less confusing. The man who had come to warn him was laying a few meters away. Adam crawled over to him and found that he was dead. Adam almost felt guilty for surviving. He searched the man’s pockets for any identification and was surprised by what he found. He was a Pakistani soldier. Working undercover to provide security to foreign nationals. Feeling guilty was an understatement. Two people had been killed by his actions indirectly. If he had never come here then this young soldier would have still been alive and not dead because of coming to warn him. If he had not come here then the intelligent and innocent little boy would still have been alive. “Ek victim zinda hai isay fauran ambulance mei puhnchao!” he heard a man’s voice order someone. Before he could look for the source of the voice two pairs of hands grabbed him by each side and put him on a stretcher. Adam kept struggling. Maybe that was the reason they injected him with a sedative as soon as they reached an ambulance. Adam’s protests faded away with him as everything blacked out a few seconds later. He woke up to find himself in a hospital bed. Strapped to it in case he still wanted to run away. His arms had IV needles injected in them. A small sound brought his attention to the other person in the room. For a minute Adam thought he was hearing a ghost. Jahangir was supposed to be dead. Adam tried getting off the bed to see for himself but the straps tying him to the bed prevented him. Seconds later Jahangir walked up to his bed and gave him a smile. He was uninjured except a few cuts and bruises. “How are you sir?” the supposedly dead child asked him. “How am I?? There was an explosion! I saw you run towards the Minar just minutes before it! How did you survive? I thought you were dead!” Adam questioned him out of surprise and excitement. The child scrunched his nose in reply. Of course. He had not understood a word that the American had just said. Adam asked him for the dictionary and after releasing one of his arms from under the straps he took it from the boy. Jahangir rolled his eyes and made a fountain like wavy motion with his arms. The kid stopped humiliating himself and grabbed a bottle of water and drank a little bit of water and repeated the same motions except that this time he sprayed water out of his mouth vertically upwards like a fountain. “You jumped into a fountain? ?” Adam asked loudly as if Jahangir had grown a third leg. Jahangir’s face lit up as he nodded in agreement. He was happy that they were able to communicate without knowing much of each other’s languages. “That’s insane. That’s just completely-. You’re a genius!” Adam exclaimed cheerfully has he gave the boy a one armed hug. The amount of lives that could be saved by taking that measure during a blast was considerable. “Rambo ne kiya movie main” Jahangir said shyly. Adam recalled a scene out of Sylvester Stallone’s movie Rambo of the actor doing just that. Adam switched off the TV. BBC was one of the only news channels on TV in the hospital lobby that he could understand. Why was he still in Pakistan even after four days of the blast? He had lied to his parents. He had not told them he had been the survivor of a bomb blast or they would have found a way to forcibly bring him home for his safety. He wanted to stay here. No he did not harbor much strong feelings of love for a country that was not his. He was staying for Jahangir. The few hours four days ago, in which he believed that he had been the cause of that child’s death, were the worst he had lived. The boy was asleep half an hour ago when Adam had left him in the hospital room. He wanted to make sure he gave Jahangir a decent amount of safety and stability before he left. He had contacted the American Embassy in Pakistan and sent them a photo and visual description of Jahangir by his phone and requested them to do all they could to find out about his parents. They had promised him a response by that day’s date. He was expecting an email from them any minute. His phone vibrated. He picked it up and looked at the screen. A photo of Jahangir’s birth certificate along with copies of both his parents’ National Identity Cards. Along with their death certificates. They had been reported shot dead two years ago in a bank robbery in Gulberg and Jahangir had been reported missing ever since. Adam put his phone on his side and sighed. He put his head in his hands as he realized that this was more complicated than he had originally hoped. He heard something move by his side and then everything went silent. He looked to his side to see Jahangir holding his phone with tears in his eyes. He had probably seen his parents ID cards on the screen. There was so much pain in his eyes. Going back to America was going to have to wait. Jahangir ran away from the lobby before Adam could explain what was going on. Despite his injuries Adam ran after the crying child. He saw Jahangir run towards the hospital’s exit. Adam saw that the nurse’s common room was the shorter way towards the exit than the corridor. He barged into the room and ran past a couple of nurses who were sitting there who immediately started screaming and throwing things at him. Adam dodged a hairbrush, water bottle and a lipstick thrown at him but he could not dodge a box of talcum powder that hit him on the head and burst open. Covering half his upper body in white powder. Adam sneezed and shouted a few apologies as he exited the common room. Swearing never to go in there again Adam looked towards the exit. Jahangir was there trying to pull on the big double door. Adam nearly broke out laughing as he read the sign on the door. As Adam drew closer to Jahangir the boy noticed him and started pulling on the door with all his childish might but for reasons known only to God and to perhaps the guy who posted the “push” sign on it, the door refused to budge. As Adam reached the door he approached a bench placed close to it and sat on it instead of approaching the boy. He hoped it would assure the child that he meant no harm. Jahangir stopped pulling on the door and breathed in and out heavily as he wiped tears off his cheek. He slowly moved towards the bench Adam was seated on and sat next to him. He did not want to show Adam that he was scared or sad so he started pretending to have a runny nose instead of openly weeping. Adam smiled at the sight and brought up a hand and put it on the child’s shoulder and pulled his head closer to him in a silent embrace. “I know” Adam replied softly. Jahangir took his head away from the embrace and finally noticed the powder on his already white skinned friend. He instantly broke into laughter. The seven year old boy fell off the bench laughing hysterically. Adam looked down at his shirt and a surprised grin broke out on his face. So breaking into the nurse’s room had been a good idea after all. “I’m going to get you for this Jahangir” Adam stood up to grab the boy who immediately darted towards the lobby, laughing all the way while being chased by his new best friend. “No mom. I don’t think I’m going to be back by next week. I live on my own in Chicago anyways. What difference would it make if I live on my own in Lahore?” Adam talked to his mother on the phone as he unlocked the door to the flat he had rented for himself and Jahangir. He was worried that he’d have to take more concrete measures to have Jahangir live with him. Like adoption or guardianship like he would have had to in America. But all the flat owner cared about was getting rent on time and nothing more. He had bought the boy some decent clothes and decided to buy a few outfits for he as well as he was going to be living here longer than planned after all. Jahangir’s relatives had legally cut themselves off from his parents long ago. Records revealed that they had been married in court as their families opposed love marriages. That led to both their families disowning them and relishing all responsibilities and authority from whatever happened to them. They probably did not even know that the couple had a seven year old son living out on the streets or the fact that they were dead. “It isn’t safe. I hate to admit this but we lost contact with the guy I hired to watch over your security. We don’t know where he is” Adam’s mom replied semi angrily. Completely unaware of what had happened. A pang of guilt hit Adam as he thought about the dead security agent but he could not tell his mother or she would have him kidnapped and brought back to America if she chose to. He had however notified the police and the government of Pakistan about the death of their brave officer and had recommended him for a medal of honor for his bravery which would grant his parents financial support for life. Adam had also set up a personal account in the name of the deceased’s parents to which he directed the income from the shares of Pepsi which he had bought with his teenage life savings some eight years ago. The income was steady and decent and Adam had anonymously passed over the authority of the account to them through a bank that assured him that his name would be kept secret. Adam did not realize that his mother had been talking all this time. Her words brought him out of his thoughts and he told her to take care and bid her goodbye. He walked into the pre-furnished flat and turned on the lights. It was decent enough. He went out to call Jahangir inside who had wanted to stay out on the balcony to look at the stars. They had started understanding each other’s words better but Jahangir still needed to go to school like all the other kids. 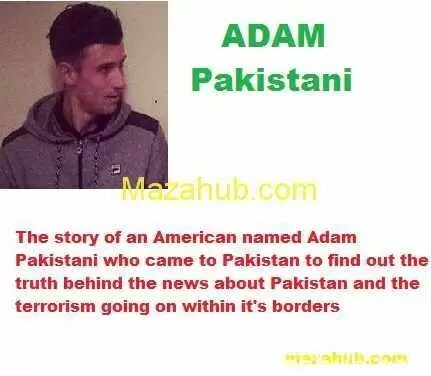 Adam had not been in many serious relationships and the one that had gotten mildly serious ended violently when Adam had left everything to come to Pakistan. That definitely meant that his dad was not the only one pissed at him for leaving. And also that he had not been in a relationship deeply enough to know anything about raising a seven year old child. Adam would not have been thriving so well in Lahore if one rupee of Pakistan was not worth around one cent of his country’s currency. His bank account yielded a decent amount of interest income that was helping him spend above the average Pakistani. He wondered if it was enough to pay for Jahangir’s schooling. He guessed he was going to find out today. He headed off to a few decent private schools he had heard about with the boy in tow. After touring a few schools he came across Lahore Grammar School and decided that it was the one for Jahangir. On their way back from admitting him there, Adam decided it was time to take some time for a non-work related outing. Anything that would make them forget about the Minar-e-Pakistan incident. No matter how much time passed, that bomb blast had been etched into both their memories possibly forever. They decided to go to Food Street. They could communicate slightly better now. At first they could not decide where to go because each of them had a different place in mind. Jahangir told him about how his parents used to take him to the Food Street. Naturally all discussion stopped there and then and they decided to choose that place. Adam stopped a rickshaw driver but before he could start talking with him, Jahangir whistled at the rickshaw. “Kamal gari hai babu. Dorrti hogi ye toh” the boy said in a mock appreciative tone. He dismounted his seat and cleaned up the passenger seat with a dusting cloth. Jahangir asked Adam for a one dollar bill when they reached their destination and passed it to the driver who accepted it immediately. Jahangir winked at his friend as he pointed towards a biryani shop and started pulling Adam towards it. Adam struggled but did not try too hard as he went along with the child’s pull. A pair of eyes watched both of them secretly. Like a tiger on the prowl for its prey. Adam laughed as he chatted away with his childhood friend. He had decided to sell his apartment back home in Chicago so he could use the cash in something productive in Lahore. He was not planning on permanently settling here but his apartment back home was no use to him at the moment. Jahangir sat at the small dinner table in their kitchen eating the chicken sandwich Adam had made for him. The American was no star chef but he managed to do fine in this regard. Adam walked into the kitchen with a nostalgic smile on his face. Dave had a way of bringing up childhood memories humorously. “I done homework” his kid roommate piped in with a hopeful smile. Adam knew at once that he wanted to watch cartoons on TV and wanted permission. He half smiled and nodded to the boy who did not waste a second in running off to the sitting room to watch Teen Titans dubbed in Urdu. Adam picked up the dirty dishes and was about to take them over to the sink to wash them when his mobile phone rang. “Hey dad” he managed to say before his father began talking. “Hey dad? HEY DAD?? That is all my son has to say to me after not talking for more than a month? ?” his dad’s voice fumed on the cell phone. Adam smirked. His dad missed him. “It’s not like you blew up my phone with a billion calls either so don’t get cocky with me boy” his dad answered in a more composed tone. “Ya missed me enough to decide to come back?” his dad asked hopefully. “You know that I can’t dad. Not so soon anyways. So much has happened and most of which I’m not comfortable talking about on call” Adam said as he put the dishes he was holding into the sink. “Just stay safe son.” he said in a fatherly tone. Adam was glad now that he had not told him about the blast. “I will dad.” he tried sounding reassuring. Hearing the name of his possessive ex-girlfriend made him feel like he was hearing about a dead person coming back to life. “What about her dad?” Adam asked cautiously. Adam was sure his father had an evil smile on his face as he said that.